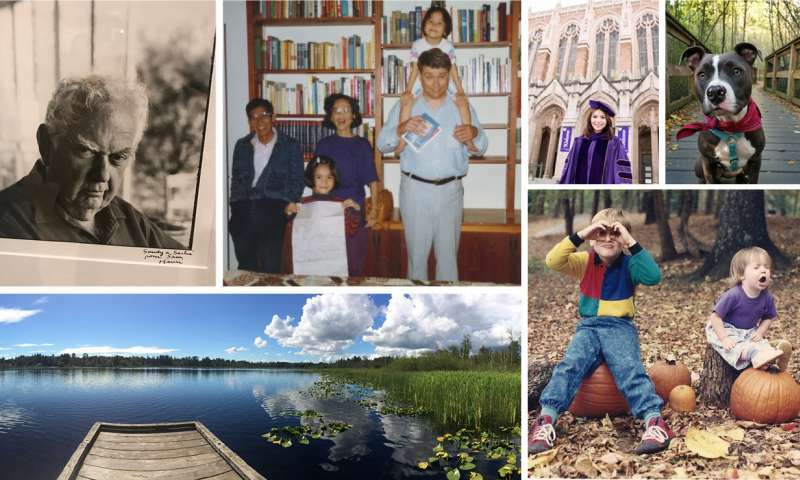 People who have submitted photos to the #MemoriesInDNA project have selected images of family members, favorite places and tasty food that will be preserved for years in the form of synthetic DNA. Now this collection—which currently contains more than 3,000 images and is still growing—will be headed to the final frontier: space. 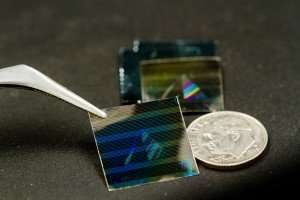 The Arch Mission Foundation, which creates archives that can survive for a long time in space, announced today that it will be partnering with researchers at the University of Washington, Microsoft and Twist Bioscience to include media stored in DNA in its newest shipment, which is destined to go to the moon in less than two years. Researchers at the Molecular Information Systems Lab at the University of Washington and Microsoft plan to provide both the #MemoriesInDNA project and a DNA archive of e-books for this mission. The Arch Mission Foundation's Lunar Library will also include instructions for how to sequence DNA and how to access the contents of the archive. To prepare the DNA for its life in space, the researchers have been developing new methods to package and protect the information it stores. "Sending DNA into space is a great opportunity for us to make our storage system more robust," said Luis Ceze, a professor in the UW's Paul G. Allen School of Computer Science & Engineering. "How can we protect the DNA so that it will still be readable thousands of years into the future?" Storing electronic data in DNA molecules saves a lot of storage space. Data centers require acres of land and account for nearly 2 percent of the total electricity consumption in the United States, but DNA molecules can store information millions of times more compactly using less energy. "DNA is so dense that we can store a lot of information in a single gram," said Ceze. "This is huge because room is so limited in space missions." The basic process converts digital data's strings of ones and zeroes into the four basic building blocks of DNA sequences: adenine, guanine, cytosine and thymine. The team is working with Twist Bioscience to create synthetic DNA molecules in a lab. This DNA doesn't come from living organisms. Instead, it is synthesized from scratch base by base (letter by letter). In space, stray cosmic rays could break DNA strands, making them unreadable. So Ceze and his team have been working on methods to ensure that they can still decode all the information, even if some of the DNA degrades. The first method, called physical redundancy, involves adding multiple copies of each strand of DNA to the archive. So if one copy is destroyed, there are still many other copies with the same information. The team is considering adding billions of copies of each strand to account for degradation over time, Ceze said. The second method, called logical redundancy, attaches information about the data within the DNA itself, like adding information about how two puzzle pieces go together. That way if all copies of a DNA strand go missing, the researchers can piece together what was lost and still get all of the data. For example, to store two numbers—two and three—researchers would also store the information that two plus three equals five. So if something happened to the number two, the numbers five and three would still exist. That logic could be reversed to conclude that the missing information is five minus three—or two. Now that the team is working with the Arch Mission Foundation, it has a strict deadline to finalize all packaging and storage plans: The Lunar Library is expected to be delivered to the surface of the moon by 2020. "We're proud that this partnership with Arch continues to push the boundaries of what's possible in increasingly exciting ways and remarkable directions," said collaborator Karin Strauss, a senior researcher at Microsoft and a UW affiliate associate professor of computer science and engineering. "This is an incredibly exciting project and we have a great multidisciplinary team working on it: coding theorists, computer architects, engineers and molecular biologists, all coming together to make this new technology a reality." For more details about how to include your own images in the #MemoriesInDNA project, visit the project website or email lunarlibrary@memoriesindna.com. Note: To be included in the DNA image collection, photographs cannot be copyrighted by any other party and must be free of violent or inappropriate content. The image dataset will be preserved in DNA indefinitely and shared with researchers worldwide.